Looking for science books? Biblio.co.nz hosts hundreds of of the finest online book stores and booksellers, including specialists in science. Use the list below to locate a specific specialist bookseller or book store near you. Or, use the form below to search the inventory of all booksellers who specialize in science. Abierto Books & Ephemera is a collection of books and associated memorabilia assembled over the past 50 plus years. 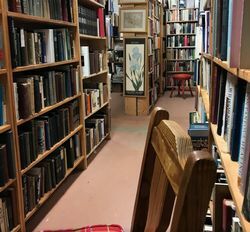 Areas of specialization include Native Peoples literature, material culture and art, esoterica, and vintage books in the fields of science, natural history, metaphysics, and religion. We are an online only bookstore but can be available by appointment if you are in the Las Vegas area and there is a particular book you wish to see. At Akros Books we specialize in antiquarian and collectible science books, including Biology, Mycology, Phycology, Cell Biology, and Botany. We also have Children's books, Biography, General Fiction, History, Mystery, Religion, Science Fiction, and much more. We specialise in rare science books dating from the late Middle Ages to the 20th century, including first editions, signed copies, manuscripts, objects, and ephemera. We have particular expertise in natural history, genetics and evolution, anatomy, nuclear physics and the Manhattan Project, early computing, and women in science. We also carry books related to women's history and literature. Selling online from London since 2004 we offer mostly non-fiction, second hand, used and rare books in many subjects. Art'Place Studio and Gallery is located at 5474 rte 127 in Bcabec, NB, Canada, just minutes from St. Andrews-by-the-Sea. We have been collecting art, antiques, collectibles and books for over 50 years and are now in the process of down-sizing these collections. Our shop is generally open on weekends during the summer or you can visit by appointment. Our book collection is very large and focuses on art, history, cultures, marine biology, science and related topics. Books new and old, bought and sold. We are specialists in antiquarian science and technology, with an emphasis on 19th and early 20th century books on scientific instruments, the physical sciences, psychology and philosophy. Online bookseller without a brick and mortar presence able to offer lower prices since 1997. Our bookstore is located in Portland, OR at 3366 SE Powell Blvd. We specialize in non-fiction including technical, mathematics, textbooks, engineering, psychology, business, stock market and all other occupational related books. Our Portland store features these plus a whole array of other fiction and non-fiction titles, plus music, movies, comics and more. The BookMine has been selling quality out-of-print, rare and first edition books since 1984. We are based in Bedfordshire as a mail order secondhand and out of print books internet based business operating since 2000 and have a number of satisfied customers all over the world. We stock books on many subjects from art, architecture, chess, children's books to fiction, history, mystery, science and transport. Book search can be carried out by request. Books & Bowls is a home-based business in Tampa Florida. We sell books and other collectables on the internet and at a few shows. Visit floridanastuff.com for more information. Bookvica is an antiquarian bookseller specializing in fine books related to Russia and former USSR. We represent the wide variety of subjects: from 16th century Old Slavonic books to Soviet Samizdat. Among our primary interests are first editions of Russian classics, important travels and voyages, Avant-garde and Constructivism, translations of world classics into different ex-USSR languages, children's books, science and economics, music, Russian Americana, autographs and manuscripts. Our goal is to cover all of the aspects of Russian culture reflected in significant books from 1560s to 1990s.We participate in international book fairs as members of the International League of Antiquarian Booksellers and The Guild of Antiqurian Booksellers of Russia. As the members of these organisations we obey their Codes of Ethics. Customer service is always #1. Caterwaul Books is owned and operated by Karen & J. Jeff Ungar. We've been buying and selling rare and quality used books online since 1998. We currently list over 6000 titles in a broad range of subject categories, and are working on listing another 10,000 titles we have in storage. Also specializing in: Historical Romance History Modern Fiction Religion Science Science Fiction Something For Everyone! Buy with confidence from ceiloz books & media. We began in the book business in 1996, and we\'ve been online sellers since 1998, providing quality books. We are founding members of the Independent Online Booksellers Association (IOBA), an organization committed to high ethical standards for online booksellers. 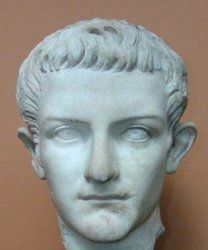 civilizingbooks is an online bookstore offering history, philosophy, religion, science, fiction, poetry, children's literature, cultural studies, 1st editions. Welcome to Cosmo Books, where you can browse 150000 books, antiquarian journals, extracts, articles, and offprints for sale. We sell quality used books of all genres. About 85% of our inventory is nonfiction. Early english printed books specializing in occult, science, religion and oddities. We also have a strong emphasis on modern first editions of horror, sci-fi, and fantasy. Independent book seller specializing in New Releases and lesser known publishers. We sell contemporary fiction, non-fiction, young adult and children's titles. We answer inquiries and ship promptly. We have operated our family mail-order catalog book business for over 25 years, and by Internet since 2001. We specialize in quality, scholarly books in the sciences, humanities and religion. My store is online only. I am interested mainly in non-fiction, including academic and scholarly, e.g., history, philosophy, psychology, science, and religion. This is the private collection of writer A.A. Doran and poet Lauchlan Thomas Savile. We're in a warehouse and have about 20,000 books for sale, mostly hardbound. We specialize in science. Welcome to Dysfunction Junction Books. I am just an out of control book collector, and I want to let someone else enjoy my collection. I will add new books every day, so check often! Bonus Books **Please check my listings as many books have "Bonus Books" so it's like getting 2+ books for the price of 1! ** Please don't hesitate to contact me with any questions about anything. Some prices are negotiable. I wil ship orders within 24 hours of them being placed. If you are interested in any book, I will send you pictures of it before you buy it. Thanks for looking! Eighth Day Books offers an eccentric community of books based on this organizing principle: if a book - be it literary, scientific, historical, or theological - sheds light on ultimate questions in an excellent way, then it's a worthy candidate for inclusion in our catalog. Specializing in rare books, papers, reports and epherema associated with the history of early computing, missile technology and science. 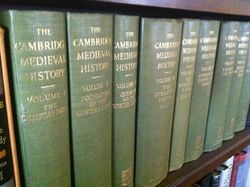 We carry a wide variety of books, specializing in history, childrens, vintage juveniles, technical, and scholarly editions. Mail order only. We have been ABAA members since the early 1980s. Online bookstore with a focus on earth science geology. Quality Book Buyers Group LLC was founded in 2015, we are a full service online book store specializing in elementary through higher education books. We strive to try and exceed our customers expectations, if anything is wrong or you just have a question/concern please don't hesitate to contact us at any time. We specialize in recently-published high-level science, technical, and reference books and a growing collection of popular non-fiction titles. Hermit Hill Books is a brick-and-mortar store, located in Poultney, Vermont, home of Green Mountain College. We have a large collection of used, out-of-print, collectible books. Our "staff" includes Harriet, a large, friendly white-and-calico cat, and Tucker, a knowledgeable Welsh Corgi. Shop hours are Tuesday - Saturday, 10 a.m. to 5 p.m. Member of the Vermont Antiquarian Booksellers Association (VABA). My business is strictly on-line sales. I carry an inventory of about 2000 books. About half of these are modern fiction. 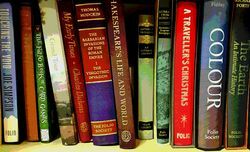 Most of the rest are scholarly academic books concentrated in the areas of natural science, philosophy, history, and literature. We are open during normal business hours Monday through Friday, by appointment only. I am an individual bookseller, simplifying my life in retirement. I come from a family of avid readers, with a love of books and magazines, and a broad, eclectic range of interests. My family and I cherish books. We treat them well, and when the time comes to part with them, we make sure they find good homes. I'm a part-time book scout who finds too many books to keep. I list items that need to find a good home. Learning Pages sells books and other learning resources for learners and educators. Lexington Books has been in business since 1998 selling to book lovers all over the world. We specialize in scholarly and academic books. 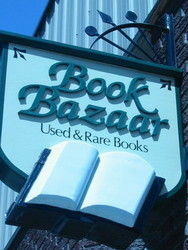 We are an independent seller of hard to find, out of print, used, and rare books. Our specialties include religion, science, history, children's and literature, but we also offer titles in a broad range of other categories. We seek to provide a professional, courteous and efficient service, and we make every effort to ship books quickly (within one business day, including Saturdays) on receipt of payment. We have thousands of satisfied customers on every continent but Antarctica. Offering out-of-print first edition literature and non-fiction titles in the fine arts, photography, architecture, history, science and military subjects. Herman H. J. Lynge & S�n A/S was founded 1821 in Copenhagen, and has been a member of the Danish Antiquarian Booksellers Association (ABF) and International League of Antiquarian Booksellers (ILAB-LILA) since their beginning. Mike\'s Library is an on-line, general line used and rare bookstore situated in the historic Pocono Northeast, near Wilkes-Barre, Pennsylvania, USA. Since 1995, Mike\'s Library has offered carefully selected used and rare books. Our roving eye focuses on uncommon and significant works in many fields, with strengths in history, business & economics, social sciences, medicine, science and technology. Please contact us with any questions: 570-822-7585 or [email protected] Thanks! We offer carefully chosen books at reasonable prices. Our grading follows the AB standards; we err conservatively. Our books are bubble-wrapped and securely packed. We hope you will enjoy our constantly changing offerings! Thank you. Milestones of Science Books offers valuable and rare books and prints in the fields of Exact Science, Medicine and Natural History. I sell non-fiction, specialising in science, technology, engineering and local history. In other words, only interesting stuff! Munster & Company is a family owned business with over seventeen years of experience in buying and selling books. In October of 2017, we purchased Black Oak Books, originally in Berkeley, California, and moved it all to where we live in Corvallis, Oregon. Our inventory currently features a robust number of titles on mathematics, books about books, literature, poetry, and signed books. New arrivals are listed nearly every day. Specialized in strange and natural curiosities. With some literature and poetry for young and old. Cosy home-enterprise. OVERSEAS BOOKSTORE is an independent bookstore open for 10 years. We sell on the internet to locations across the world. The basis for the bookstore is simple. It’s all about passion for reading and finding new books. We wrap carefully and ship all orders the same day or the next business day. Specializing in Puritan, Reformed theology, nature, and science books. Reiter's Books celebrates it's 80th Year of continuous business since 1937.we were a leading scientific and professional book store. But are collections vary over a very wide range of subjects. I have been selling rare and used books since 1998. I carefully grade all my books, and have concern for the needs of both the collector of rare books and those wishing to purchase less common books at good prices. S. Howlett-West Books was established in 1996, but the owner, Stephanie has been in the book business for over 30 years. Besides her full time work as a book dealer, she writes articles on the subject of Science Fiction for several trade magazines. She is a collector and reader of first edition science fiction in her spare time. Scarthin Books is based in a three-storey, 2000 sq.ft. shop overlooking the millpond which powered Arkwright's world's-first cotton mill in the hamlet of Scarthin in the village of Cromford, Derbyshire on the edge of England's first National Park, the Peak District. Our ABE list comprises only some of our more valuable, fragile or esoteric stock; our main business remains selling new, second-hand and antiquarian books and music over the counter to flesh-and-blood clients. We also house a home-cooking cafe, serving vegetarian (and some vegan and gluten-free) hot and cold dishes and refreshments. The cafe also hosts meetings of the Cafe Philosophique and Conversation Cafe and regular meetings of Amnesty International and Buddhist Meditation groups, as well as occasional book launches and other gigs. With nearly 100,000 titles in stock, we have since 1974 been evolving towards what a bookshop should really be like. You will feel very much at home here. Our hours are 9-6; 10-6 on Sundays (last cafe orders 5.15)and we close only on Christmas and Boxing Days. Our website www.scarthinbooks.com is also fun. Scouts Books is an independently owned and operated bookstore located at 150 S. Main St. in Vale, Oregon. We are open by chance or appointment. Scouts Books carries a wide variety of quality used books and a small selection of interesting new books. We have a nice selection of books on Oregon and the West, as well as general fiction, cookbooks, mysteries, westerns, art and children's books. We pride ourselves on having books in great condition at great prices. Additionally, we can special order new books or assist you in finding that rare or out-of-print book you have been looking for. Established in 2005, Scouts Books is named after Scout, a female border collie/sheltie mix, who enjoyed coming to the bookstore. Fine, rare, & out of print books. Dealing in genres of intensive specialization, the unorthodox, reference & resource, & standard academia. Specializing in scholarly material associated with hermetic pursuits, biblical studies, cosmology, the history & origins of mankind, human development, philosophy, & intellectual history. Also dealing in fine first editions of a literary timbre, speculative fiction (science fiction/fantasy/horror), militaria, and \'how to\'. I collect and sell books that reflect my scholarly interests. As such, the titles in my catalogue tend to coalesce around the kindred themes of antiquarianism, curiosity, science, bibliography & book history. I am based in Charlottesville, Virginia, where I am a Ph.D. student in Renaissance Literature, but my academic work and buying take me farther afield—primarily to New York, Europe and the UK. Visits & viewings can be arranged by appointment. A used and rare bookshop with over 25,000 volumes on all subjects. The Bear Booskhop, founded in 1975, has a strong collection in most academic areas. The Book Oasis has been in business at its retail location since 2002. We have been selling online since 1999. Our store is located at 311 Main in Stoneham, MA. 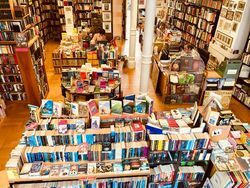 Our store was voted "Best Bookstore in Greater Boston" by the viewers of CBS4Boston.com, 2006, 2016 and 2017. Turgid Tomes has been an online bookseller for 17 years. We specialize in scholarly books but also stock used books of all kinds. We are mail-order sellers of used and out-of-print books, selling on the Web since 2000. Welcome!!! We are a worldwide college textbook re-seller. We have stocked for different titles of textbooks to serve the worldwide customers. Our objective is to get you the textbook at an unbeatable price! We have very good customer service. And our shipping takes merely 3-4 business days to anywhere within the United States, United Kingdom and 2-4 business days to anywhere within the Europe. We hope that you will be satisfied with our service and will consider us again the next time when want to buy a textbook. Thank you for your business! We have a small, but growing, stock of interesting new and second-hand books. An eclectic range, but tending towards science, gardening and Folio Society books. Please email us if you have any questions about individual books, or any other queries. We'll try to answer the same day, unless we're out buying more books! Hi and welcome to X-Books a new bookstore trying to bring various sundry and hard to find books on as many hard to find subjects as we can! Zubal Books has been the leader in scholarly and rare books since 1961. We purchase individual books as well as entire libraries.